Cathode Ray Tube: TRUE BLOOD & THE VAMPIRE DIARIES - Win books in our latest competition! TRUE BLOOD & THE VAMPIRE DIARIES - Win books in our latest competition! If you love your vampires then I've got a little treat for you. You can win a copy each of two recent publications from ECW Press and distributed by those kind folks at Turnaround. First up is Becca Wilcott's Truly, Madly, Deadly - The Unofficial True Blood Companion. This is an introductory guide to the first two seasons of HBO's True Blood, currently completing its run on Channel 4 and also shown in the UK on FX. 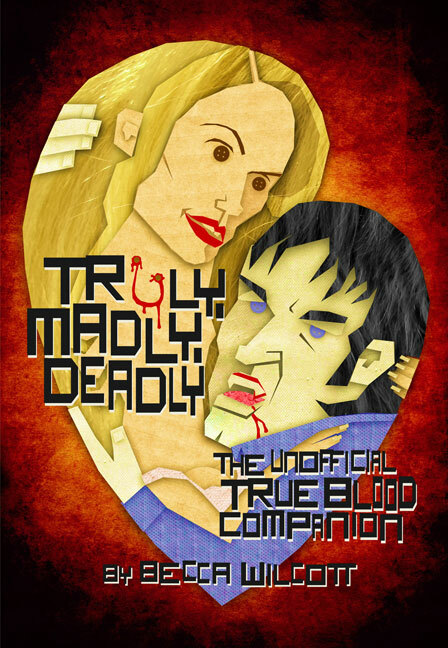 Truly, Madly, Deadly offers in-depth biographies of each major and supporting cast member, along with pictures and fan quotes; guides to each episode along with a host of facts and behind-the-scenes anecdotes; sidebars providing additional cast and character info; full chapters which tackle some of the greater underlying themes of True Blood: the paranormal and politics of race, sexuality and gender; an overview of literary and cinematic vampires; and an introduction to Charlaine Harris, the author of the bestselling Sookie Stackhouse novels on which the series is based. There are also exclusive interviews with stars Kristin Bauer and Patricia Bethune, a chapter dedicated to social media and its impact on fandom plus fan-submitted cast pics, fan art and vampire-inspired merchandise. 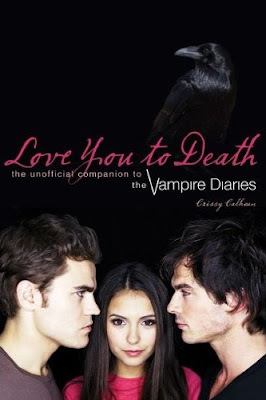 Love You To Death - The Unofficial Companion to The Vampire Diaries, by Crissy Calhoun, is the ultimate fan bible to the hit US show currently airing on ITV2. With writer producer Kevin Williamson at the helm (Dawson's Creek, Scream) The Vampire Diaries mixes horror, romance, drama and self-aware humour and has won itself a growing and devoted fan base. This is the only book that takes you deep into the heart of Mystic Falls with an episode-by-episode guide to the first season. Featuring bios of the cast, the story behind the creation of the show, the bestselling book series by L.J. Smith that first introduced Elena and the Salavtore Brothers, as well as background details on the rich history and mythology, Love You To Death is an essential read for fans of The Vampire Diaries. Cathode Ray Tube has a copy of each book to give away to one lucky winner. Yes, both books as one prize! This competition is open to residents of the UK only, but not to employees of ECW Books and Turnaround Publisher Services or their agents. Combination Question: Which actor plays Damon Salvatore in The Vampire Diaries and what is the name of the fictional Louisiana town featured in True Blood? You must answer both questions correctly to be entered into the prize draw.